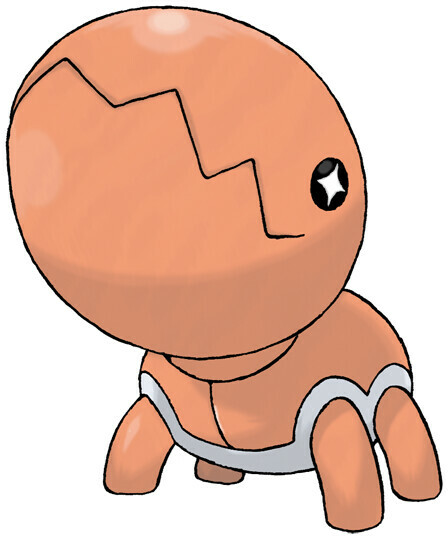 Trapinch is a Ground type Pokémon introduced in Generation 3. It is known as the Ant Pit Pokémon . The effectiveness of each type on Trapinch. In Generations 3-4, Trapinch has a base experience yield of 73. Its nest is a sloped, bowl-like pit in the desert. Once something has fallen in, there is no escape. It can live for a week without eating a thing. It waits patiently at the bottom of its nest for prey to appear. It builds nests that double as traps, lying in wait for its prey to get caught. When night falls, it digs itself a spot beneath the sand to sleep. Trapinch learns the following moves in Pokémon Ultra Sun & Ultra Moon at the levels specified. Trapinch learns the following moves via breeding in Pokémon Ultra Sun & Ultra Moon. Details and compatible parents can be found on the Trapinch egg moves page. Trapinch can only learn these moves in previous generations. It must be taught the moves in the appropriate game and then transferred to Pokémon Ultra Sun & Ultra Moon. Trapinch learns the following moves in Pokémon Sun & Moon at the levels specified. Trapinch learns the following moves via breeding in Pokémon Sun & Moon. Details and compatible parents can be found on the Trapinch egg moves page. Trapinch can only learn these moves in previous generations. It must be taught the moves in the appropriate game and then transferred to Pokémon Sun & Moon. What is a good moveset for Trapinch? Where do I find a Trapinch on SoulSilver? The Pokémon doesn't come in dream world?